We may assume that the EUR/USD currency pair is about to be corrected to the area of 1.4265, where the “triangle” pattern has been broken. The RSI indicator faced the resistance from the trend’s rising line, we should expect the indicator to rebound from it to the descending line, which may be a starting point of the descending movement. 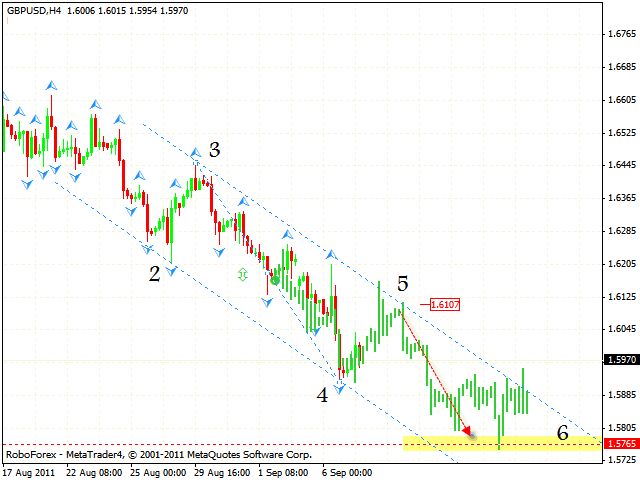 One can consider selling Euro while the price is inside the descending channel. 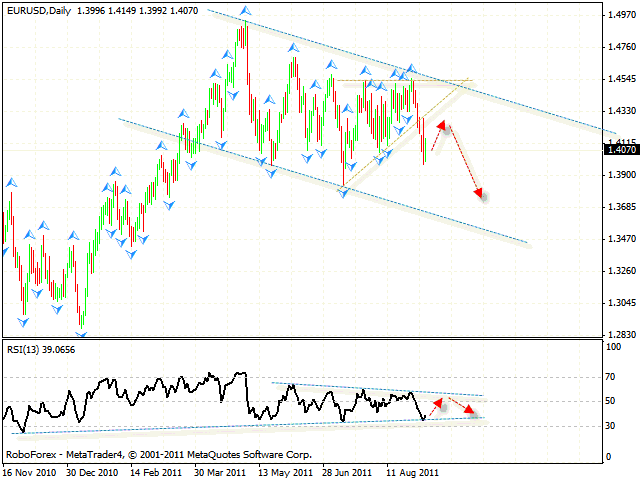 In case of the GBP/USD currency pair we should correct the structure of the descending pattern. Currently we should still expect the price to test the descending channel’s upper border in the area of 1.6105, where one can try to sell the pair with the tight stop. The target of the fall is the area of 1.5765. But if the price leaves the channel, this case scenario will be cancelled. The decision of the Central Bank of Switzerland to place an upper limit to the exchange rate at the level of 1.20 resulted in a significant growth of the USD/CHF currency pair. Currently at the H1 chart of the pair we can see the formation of the rising pattern with the target in the area of 0.8765. 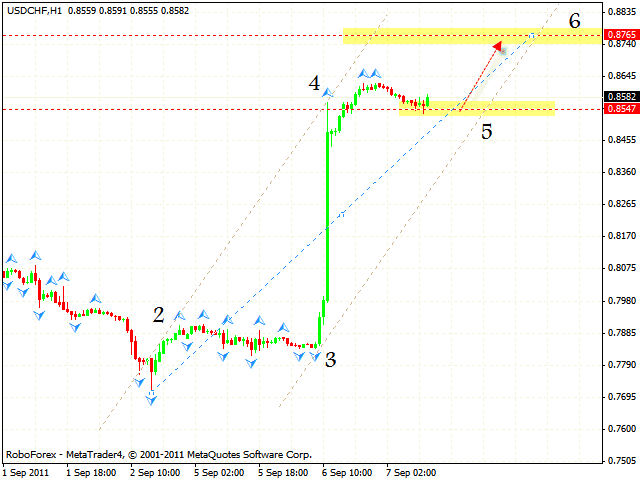 One can try to buy the pair with the tight stop near the level of 0.8540. But if the price breaks the channel’s lower border, this case scenario will be cancelled. At the daily chart of Gold we have “failure swing” reversal pattern forming with the target in the area of 1756. 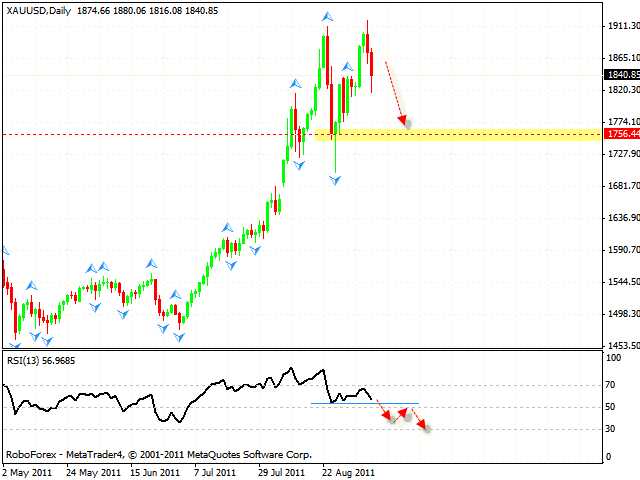 One can try to sell the instrument with the tight stop after the price breaks the support level at the RSI. But if the indicator grows higher than 70, this case scenario will be cancelled. 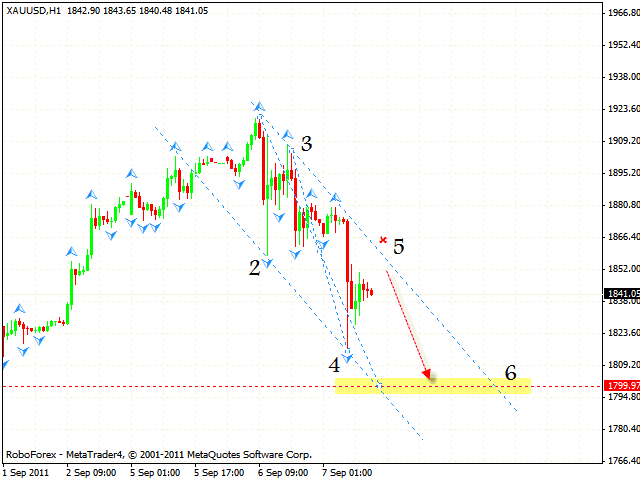 At the H1 chart of Gold we can see the formation of the descending pattern with the target in the area of 1799. One can try to sell the instrument with the tight stop. But if the price grows higher than 1865, this case scenario will be cancelled. FTSE 100 Stock Index is moving inside the rising channel. However, if the Index falls lower than 5065, “head & shoulders” reversal pattern with the target in the area of 4625 will be formed. 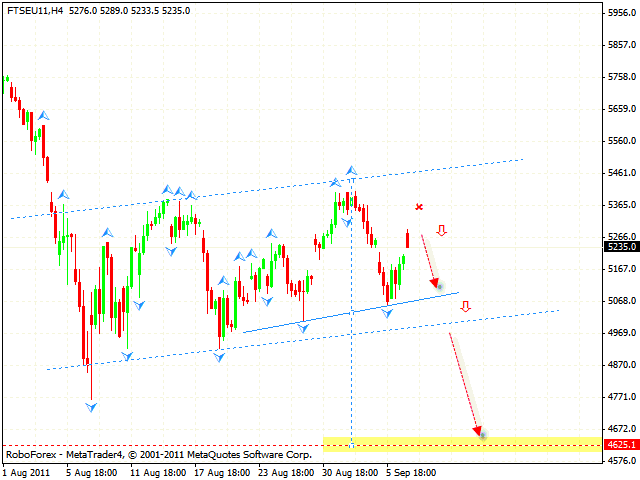 One can try to sell the instrument at current prices with the stop above 5365. We recommend you to increase the amount of short positions only after the price breaks the neckline.